Hibs head coach Alan Stubbs insists next week’s warm-weather training camp in Spain will be anything but a holiday for the players. The Leith outfit’s attempt to reach the top flight via the play-offs does not begin until 20 May when they will travel to the winners of the clash between Queen of the South and Rangers in the semi-final, first leg. 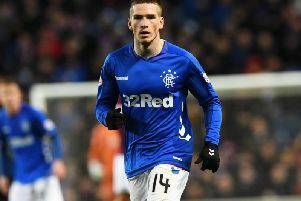 However, Stubbs, who will fly out with the team on Sunday, has assured supporters there will be little time for the players to relax. He said: “I’m delighted we managed to finish second in the Championship because it gives me a chance to ease off the players this week and take them away. “It’s not a reward because we haven’t won anything, it’s just a chance for us to refresh them, get a bit of sun on their backs and train in a nice climate. The majority of the squad attended the PFA Scotland awards dinner on Sunday and were delighted to see team-mate Scott Allan named Championship player of the year. The former Dundee United youngster has enjoyed a renaissance under Stubbs at Easter Road after returning north from West Brom last summer.